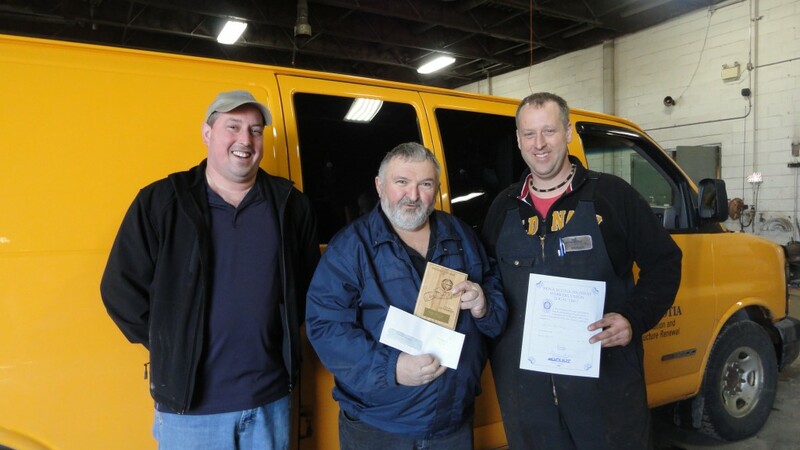 Shawn Burke – Supervisor and Steve Alexander – Mobile Service Mechanic presenting Brian Kennedy with his plaque, certificate and cheque from the Union. This entry was posted in Photos by CUPE. Bookmark the permalink.